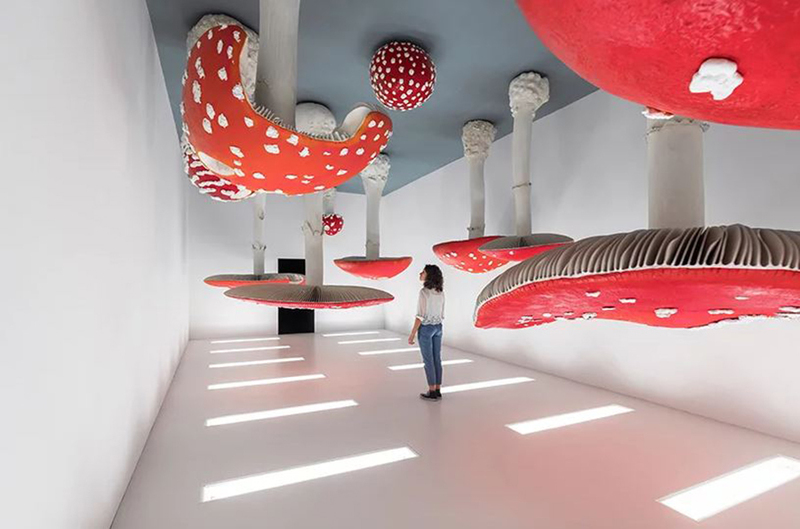 Architecture / Art / Design News / Interior Architecture / Milan Design Week / Salone Milan 2018 / Where I would rather be ! 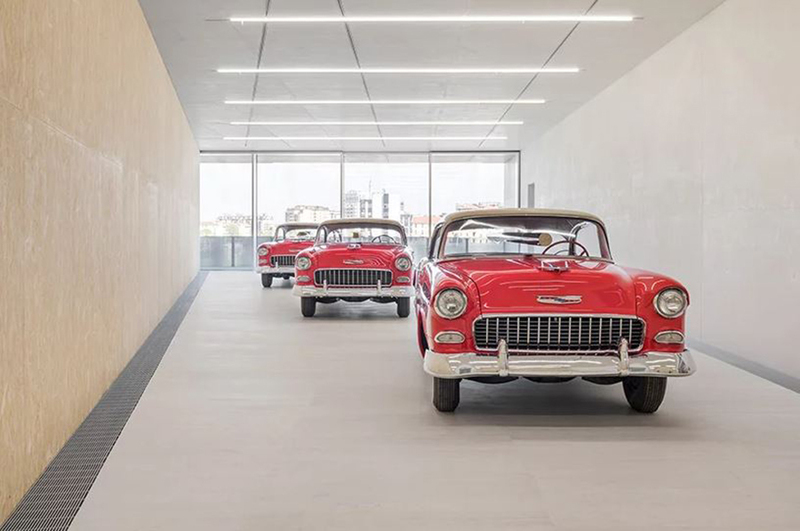 The final piece of the Fondazione Prada puzzle the ‘Torre’ opened to the public during Milan Salone, last Friday 20th April. 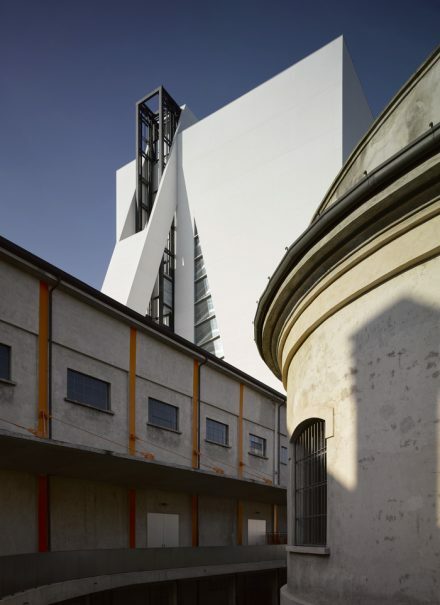 The 60 metre- tall tower is the final part of the campus, (which first opened in 2015) the project completely transformed the site which used to be a gin distillery- it now holds numerous expansive gallery spaces was designed by Rem Koolhaas’ OMA. 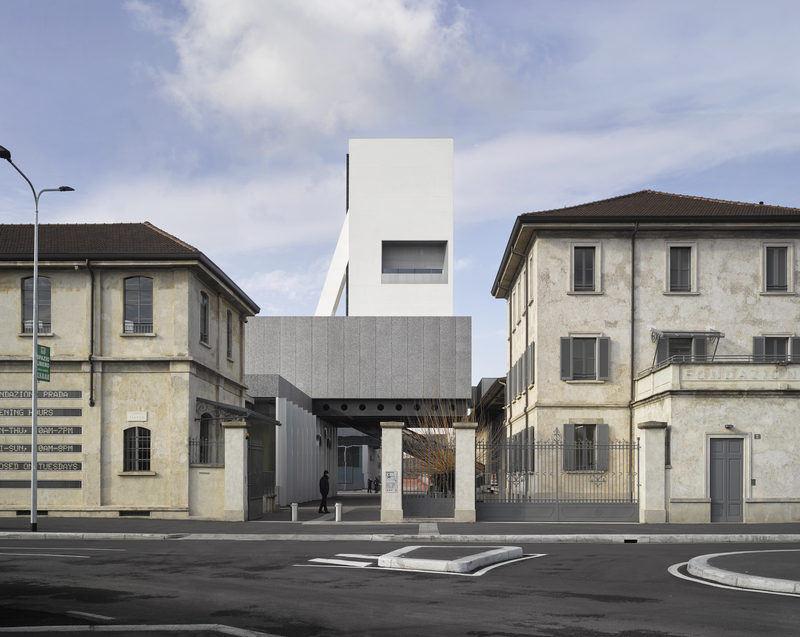 Rising high above the Fondazione Prada and the overall neighbourhood, the tower’s irregular geometry follows a structural logic. 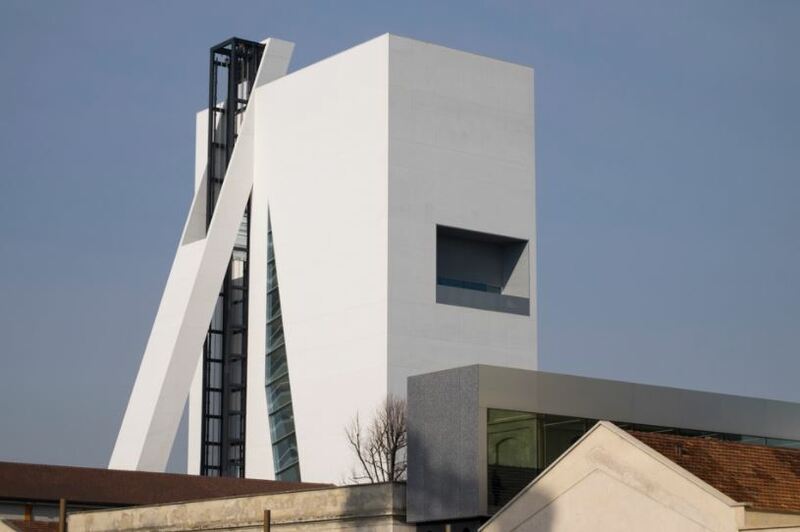 Presenting #Torre, the new building marking the completion of #FondazionePrada’s Milan venue.The 60-meter high tower, made of exposed white concrete, opens to the public on April 20, 2018.More at http://bit.ly/2JXkQMF. 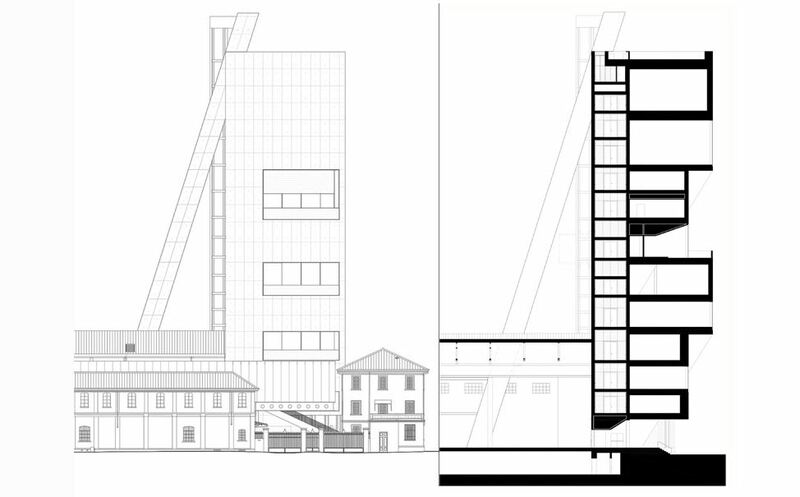 Half of the tower’s levels develop on a trapezoidal basis, the others follow a rectangular plan, all external facades are characterized by a succession of glass and concrete surfaces. This gives the floors an exposure to light on the north, east or west side. 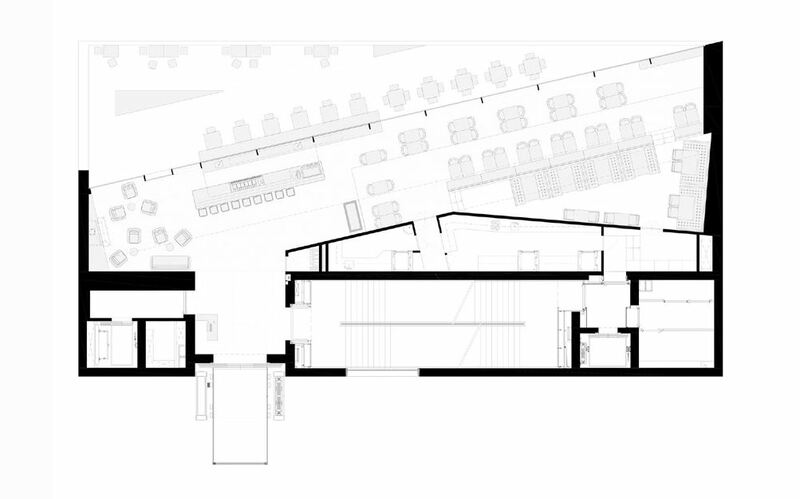 While the uppermost exhibition hall is filled with natural light and the roof terrace is designed as a flexible space that also has a bar. 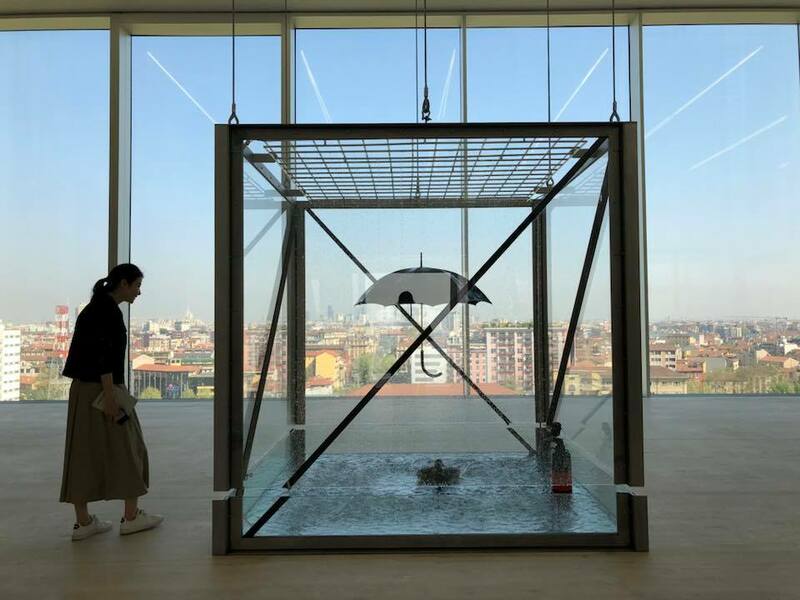 Inside is an exhibition titled ‘Atlas’, which emerged from a dialogue between Miuccia Prada and Italian art historian Germano Celant. 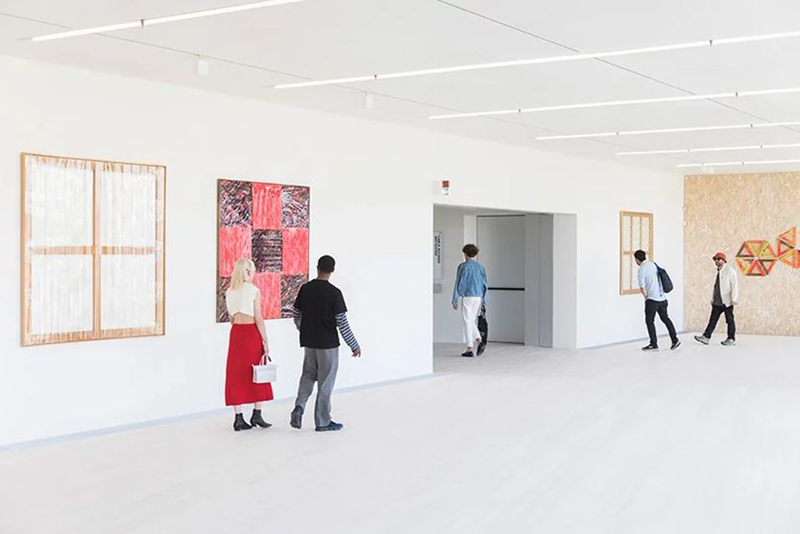 It features works from the Prada collection displayed in a sequence of different environments. 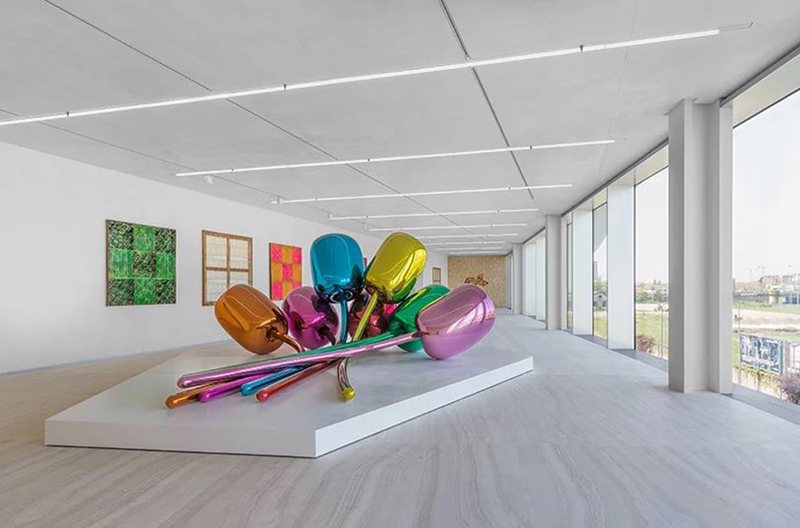 Imposing in scale, curatorial brilliance, and visual force, the artworks boldly confront the challenging architectural spaces and the surrounding landscape in a play of balanced harmony and disruptive contrasts— a very Prada-esque attitude. 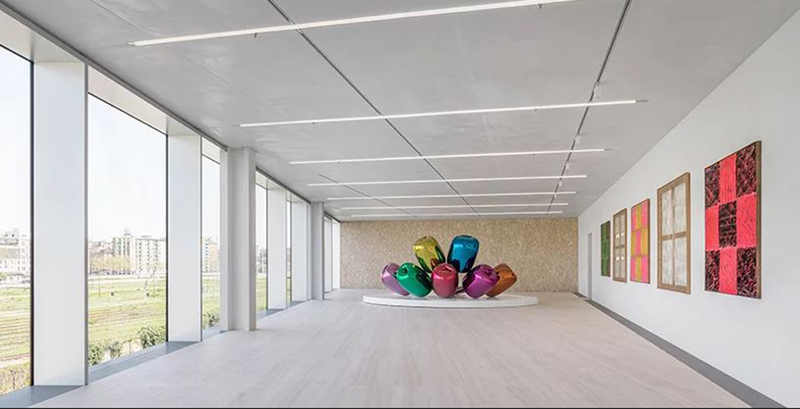 Artists on display include Jeff Koons, Damien Hirst, John Baldessari, and Carsten Höller. 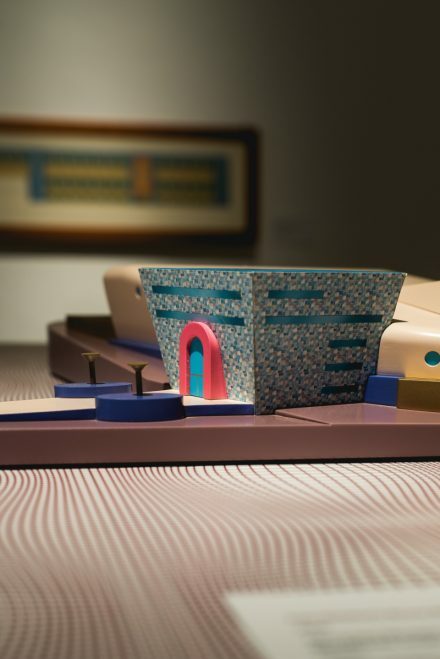 The group of exhibited artworks, created between 1960 and 2016, represents a possible mapping of the ideas and visions which have guided the creation of the collection and the collaborations with the artists that have contributed to the activities of the foundation throughout the years. 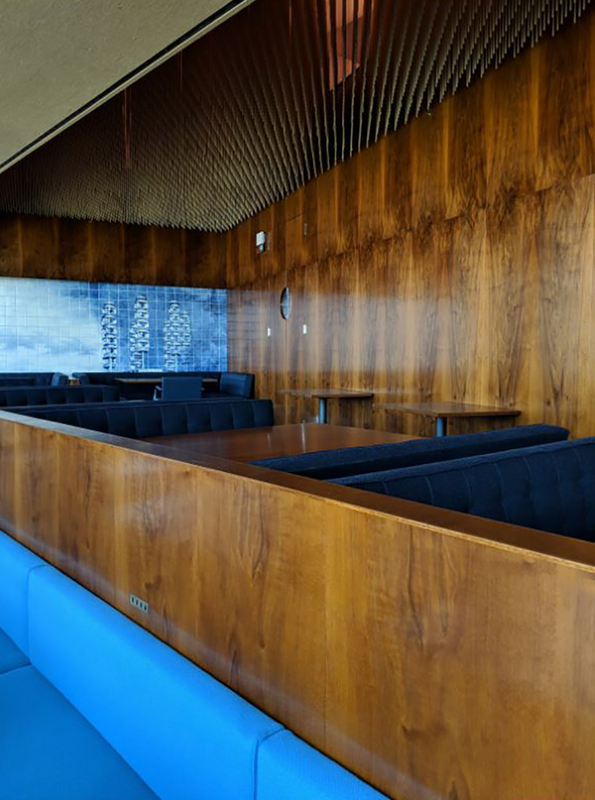 The Torre restaurant, housed on the sixth floor (which is yet to open) will house original furnishings from the Four Seasons restaurant in New York which was designed by Philip Johnson in 1958. 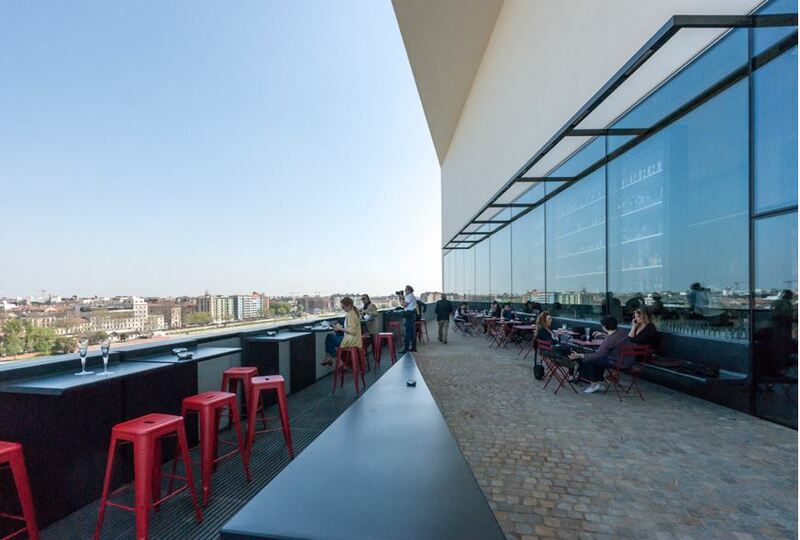 The 6th floor also hosts an expansive roof terrace. 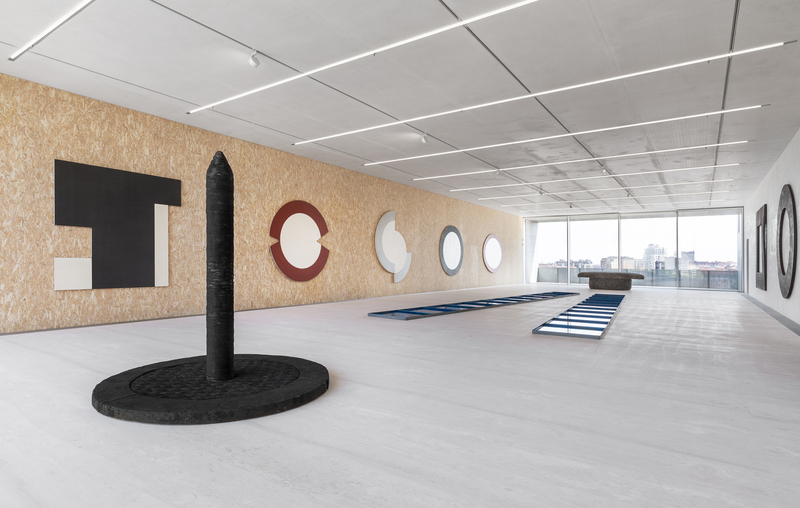 Alongside elements of the installation by Carsten Höller the Double Club (2008-2009), three sculptures by Lucio Fontana — two polychrome ceramics Cappa per Caminetto (1949) and Pilastro (1947) and a glass and cement paste mosaic head of a jellyfish (1948-54) — with a selection of paintings by William n. Copley, Jeff Koons, Goshka Macuga and John Wesley. 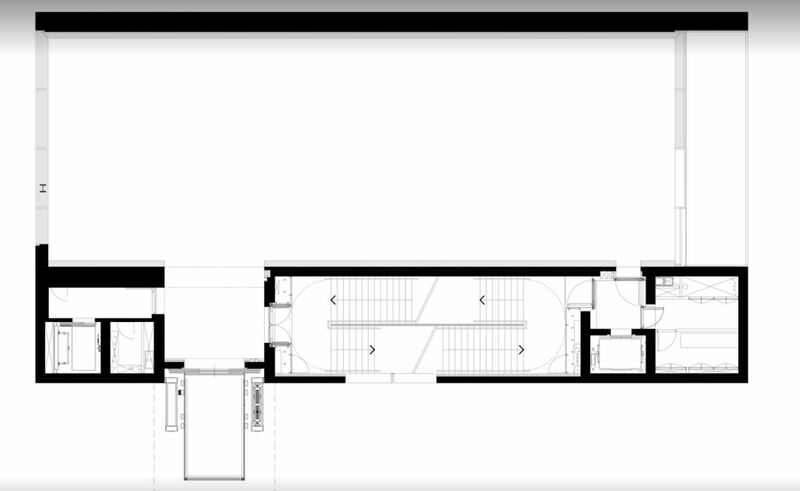 The six exhibition rooms have two different floor plans – either rectangular or trapezoid – with three different exposures, at the same time their ceiling height increases from 2,4 meters to 8 meters from bottom to top, thus providing diversified exhibition conditions for different types of artwork, from small paintings to large-size installations. 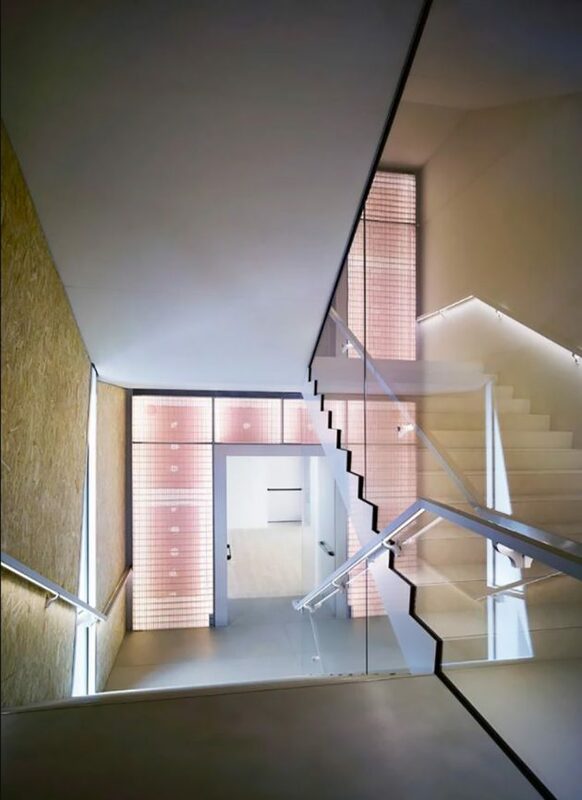 As seen in other projects by Koolhaas, the interiors present a combination of cheap industrial materials and construction elements – such as Orientated strand Board (OSB) wood panels, and galvanizes steel meshes – and lavish selections including gold leaf and pink onyx for the lift interiors. 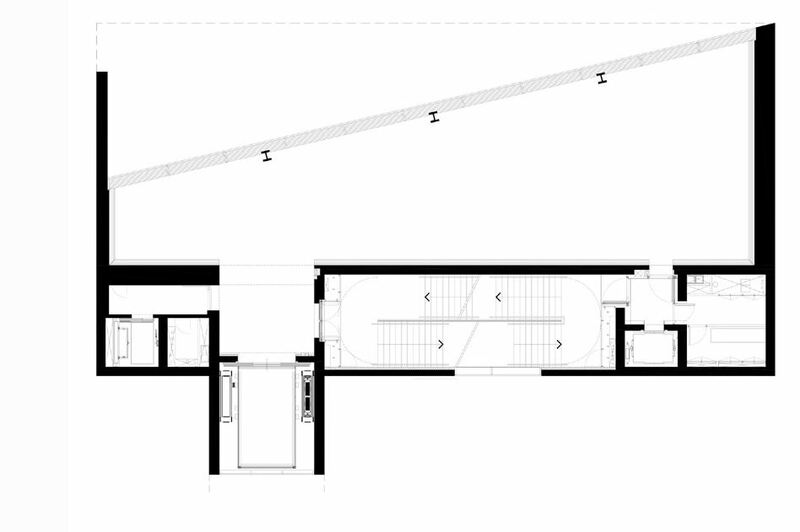 Koolhaas co-founded OMA in 1975, has had a long-term relationship with Prada. 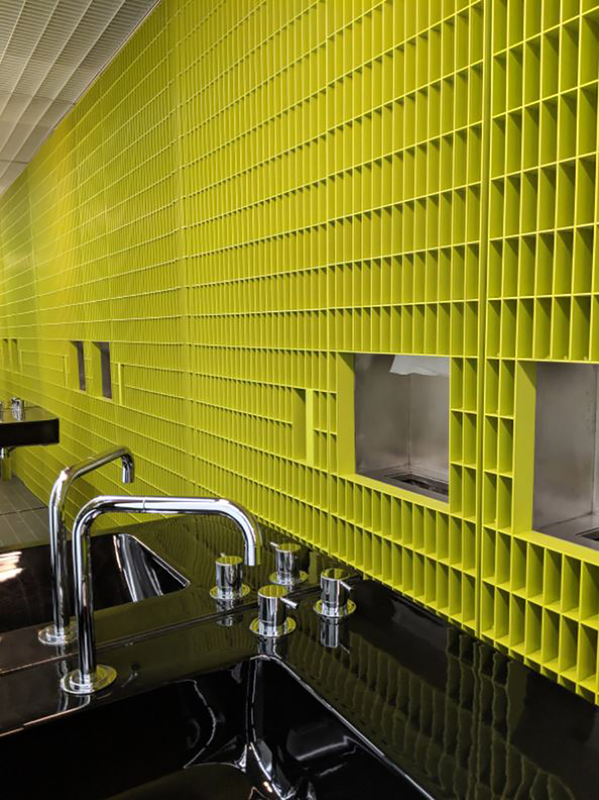 He has designed a number of projects for the Italian fashion house over the years, including catwalk sets and window installations. 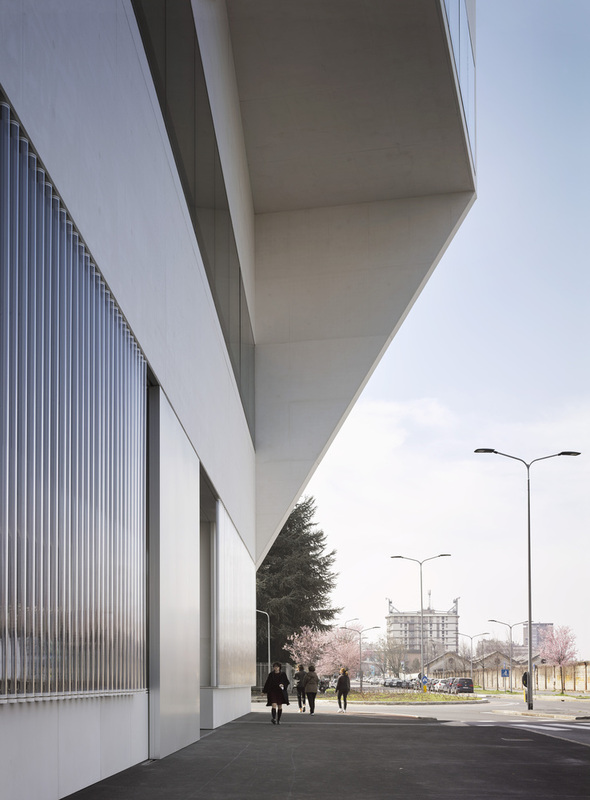 Prada launched its foundation in 1993, as a cultural organisation dedicated to cinema, design, architecture, philosophy, fashion and performance – and OMA was the obvious choice to design it. 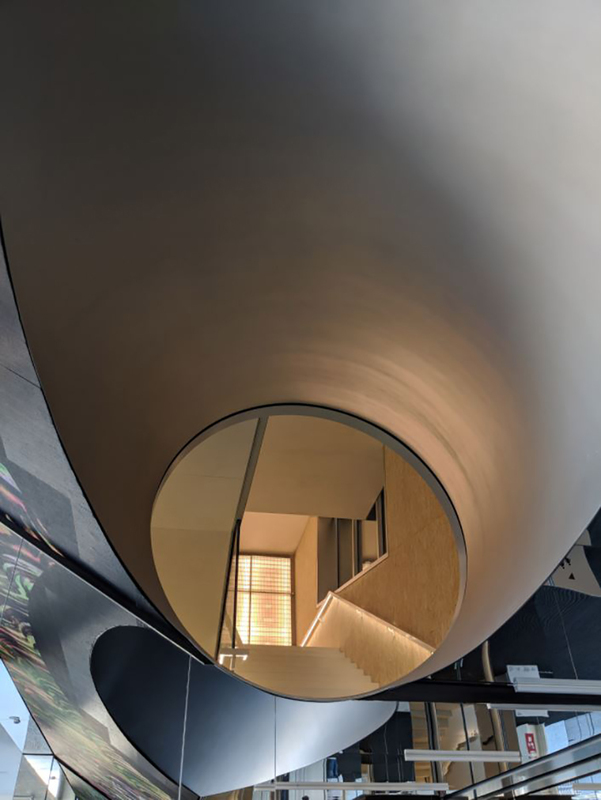 The complex officially opened in May 2015, with highlights including the “haunted house” clad in 24-carat gold leaf and the cinema camouflaged by mirrors. 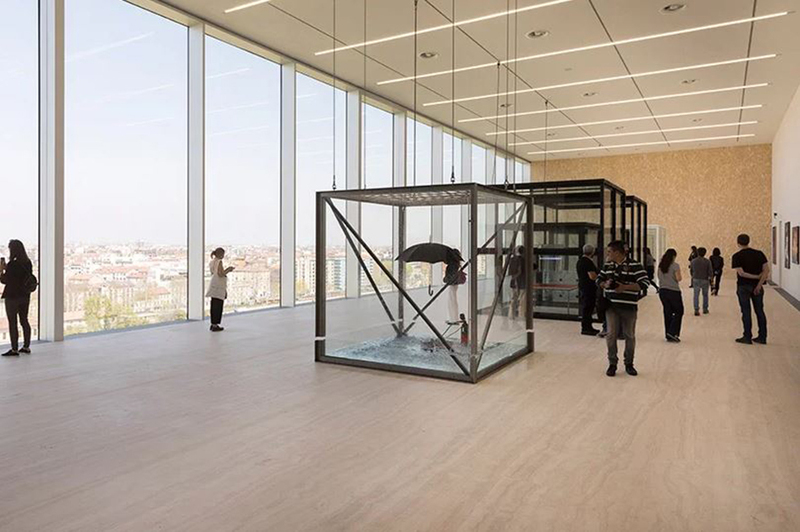 Milan’s Fondazione Prada will officially open its OMA ( Rem Koolhaas ) designed ‘Torre’ Tower on April 20, built especially to house the institution’s permanent collection. 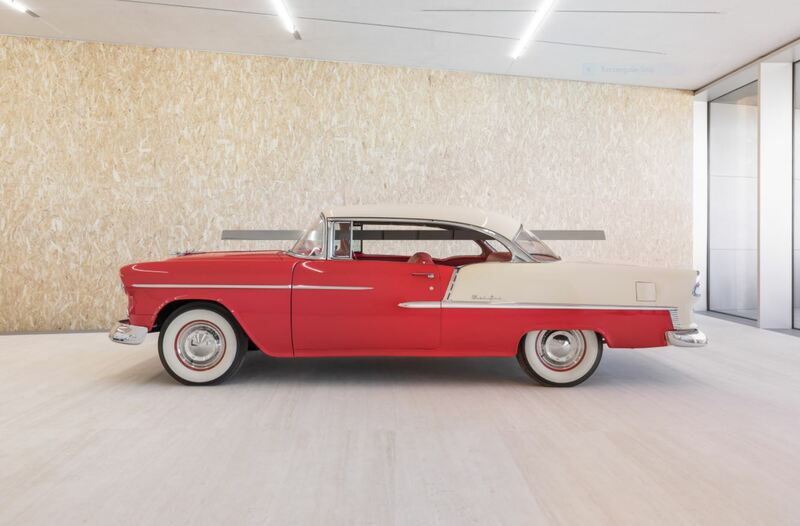 To celebrate its 25th anniversary, Surface magazine teamed up with celebrated architect Rockwell Group to explore American design by recasting a U.S. icon. 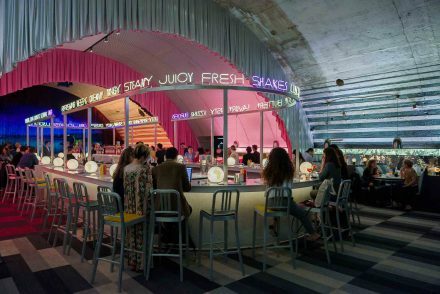 Rockwell teamed up with and design consultancy 2×4 to create The Diner, which is located in one of the cavernous vaults situated below the tracks that run into Milan’s Centrale railway station. 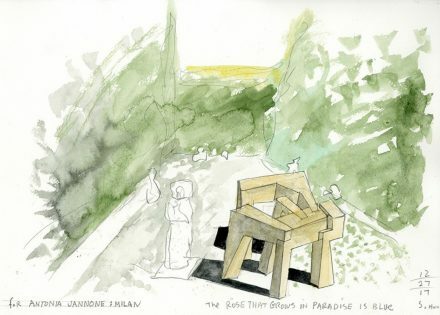 Known internationally for his important contribution to contemporary architecture, American architect Steven Holl’s first official exhibition in Italy and in Milan, showcased a selection of his works including 26 watercolours, 13 prints (signed and numbered), some limited-edition design objects and sculptures. 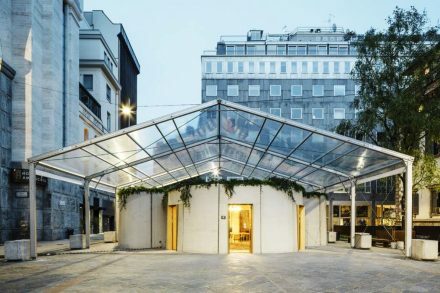 Massimiliano collaborated with Italcementi Heidelberg Cement Group, Dutch construction company CyBe Construction, and Arup to design and bring to life “3D Housing 05 “, a prototype of a 3D-printed concrete home created in response to the growing affordable housing crisis. 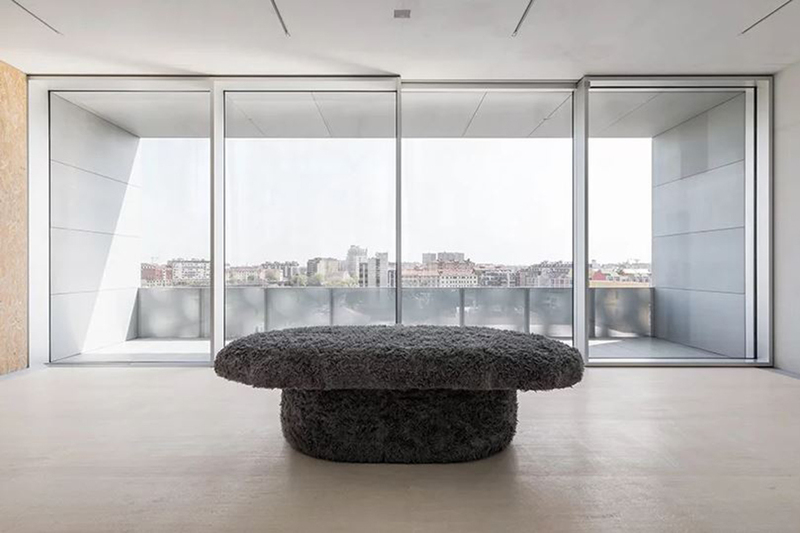 The one storey concrete house, located in the grand Piazza Cesare Beccaria, covers 100 square meters; it has curved walls, a living area, bedroom, kitchen and bathroom. 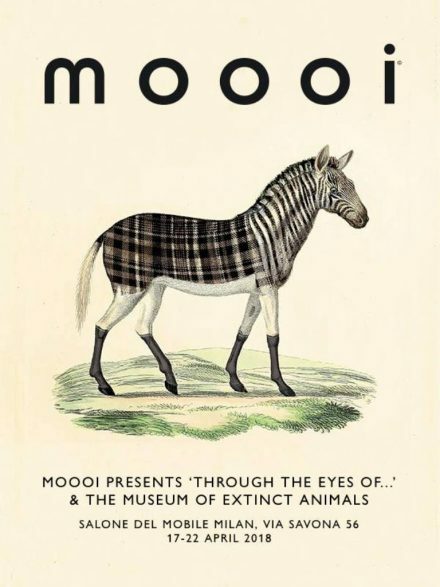 ‘The Museum of Extinct Animals’ featured textures, shapes and patterns to celebrate and raise awareness of the importance diversity holds in nature. 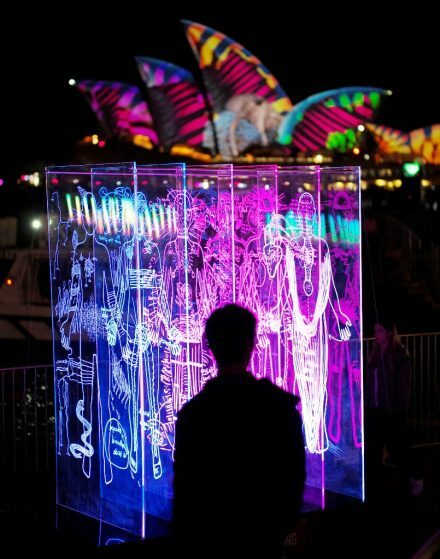 The 2017 Vivid Light Walk is a journey that takes you through streets, byways and secret places, by harbour coves, garden parklands and new parts of the city. The busiest stretch of installations at Vivid Sydney 2017 is the Vivid Light Walk which trails around the foreshore from the expanded Royal Botanic Gardens, past the Sydney Opera House, through Circular Quay passing the Museum of Contemporary Art. 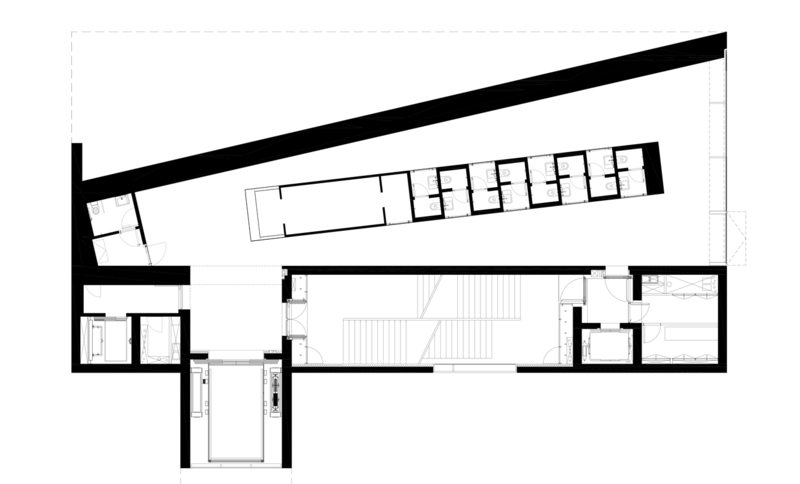 Then onto Cadman’s Cottage and the lanes and backstreets of The Rocks, through to Campbell’s Cove and onto the Sydney Harbour Bridge. 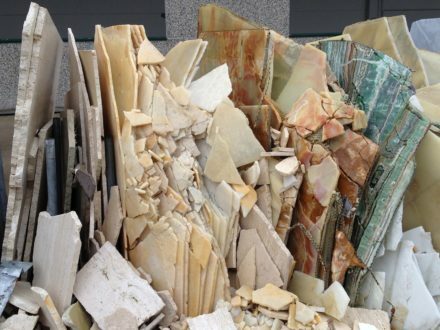 Patricia Urquiola’s ” Earthquake 5.9 ” collection for Budri, is a tribute to the Emilia earthquake of May 2012 that affected many businesses in the area, including Budri’s. 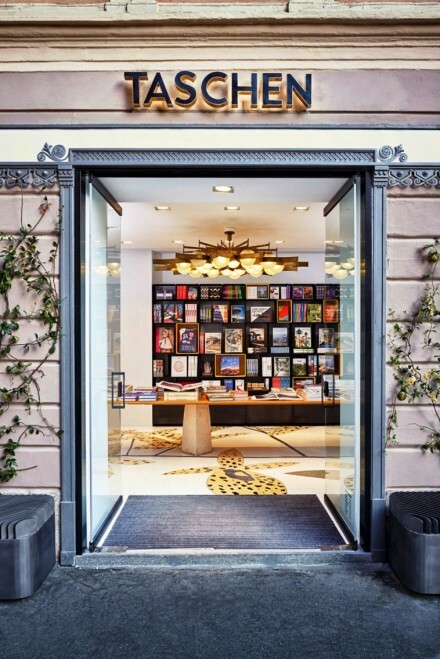 The interior design of the 120 sq metre museum like space is true to Taschen’s bold, eclectic spirit. 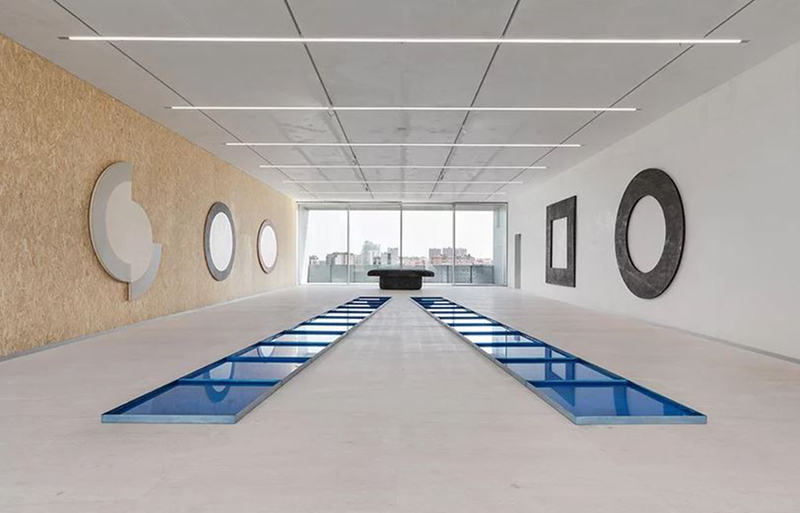 It fully embodies unique craftsmanship with cutting edge design and display components, all set to showcase extraordinary art and fashion talent from across the world. 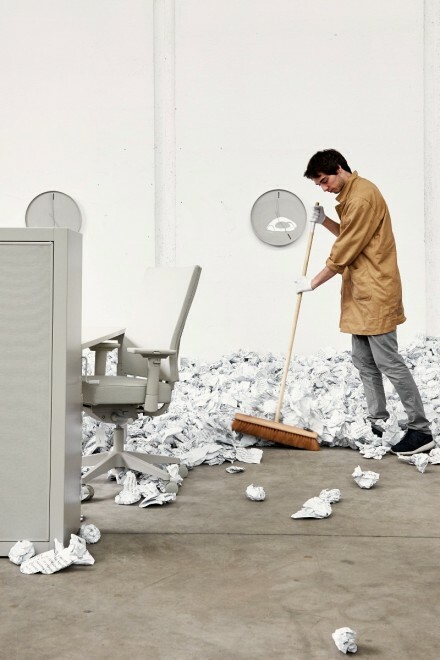 The exhibition concept was developed by Lensvelt in collaboration with Space Encounters Office for Architecture and students from KABK in The Hague and won the Milano Design Award for its conceptual innovation of transforming a stereotype into a playful experience.